4 3/8" handle. 3 1/8" stainless steel blade. 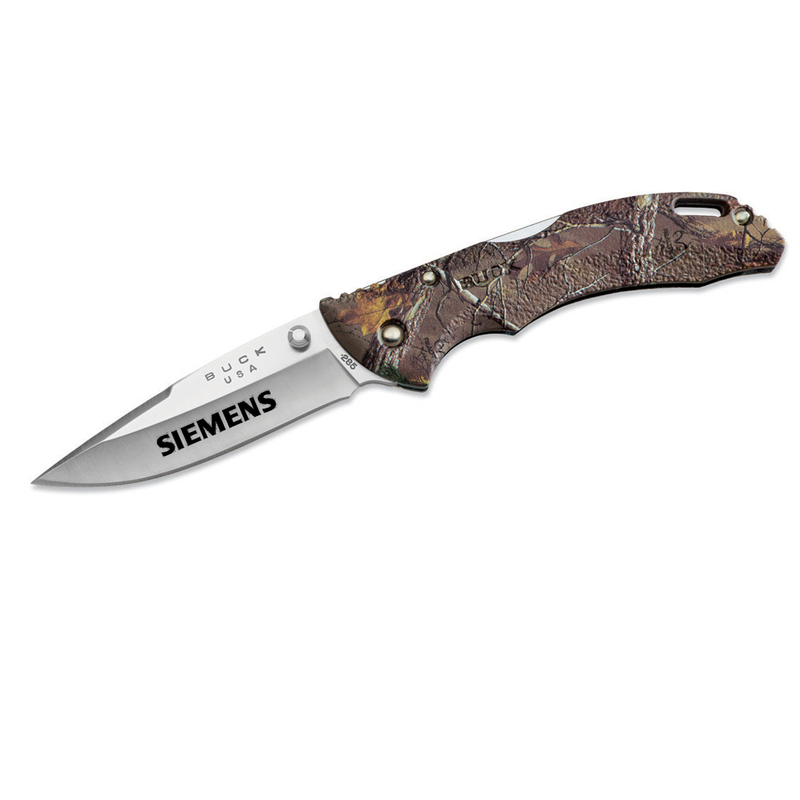 Medium-size, lightweight, heavy duty knife and a mossy oak break up design thermoplastic handle. Note: Design may vary slightly on knives. Comes with clip. MADE IN THE U.S.A. of domestic and foreign parts. Boxed.